The difference in the blooms from Sunday to yesterday were really amazing. 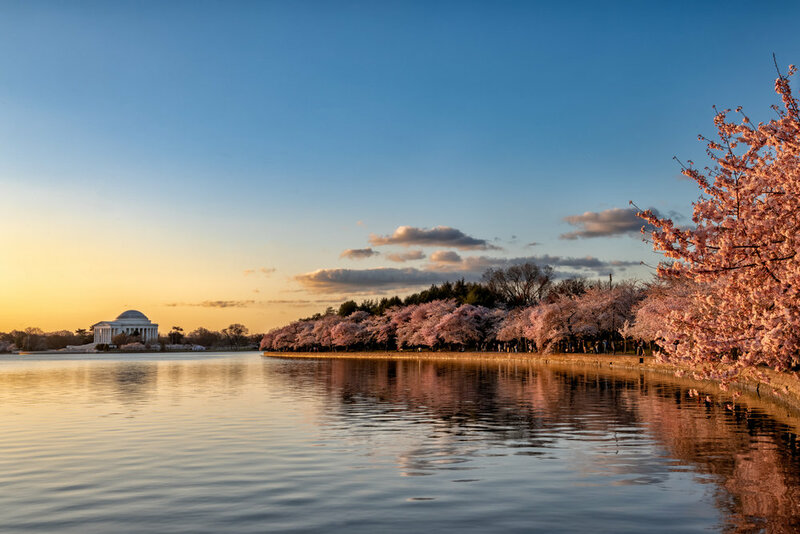 Everything is starting to be fully bloomed and the Tidal Basin is just an amazing place to see the Cherry Blossoms in their true beauty. With that beauty and the festival comes the volumes of people that are out and about to try and capture the beauty that nature has to offer and there were a ton of people yesterday. I need to do better of catching the environment but to be honest it really get's the anxiety up. I am not in the category of Social Anxiety per say as I have 0 problem talking to anyone and find it fun but what really get's the nerves going for me is crowds and tons of people. My anxiety is minor in comparison to so many with Social Anxiety that is paralyzing but just puts me in that uncomfortable state and I have a tendency to rush my shots because of it. 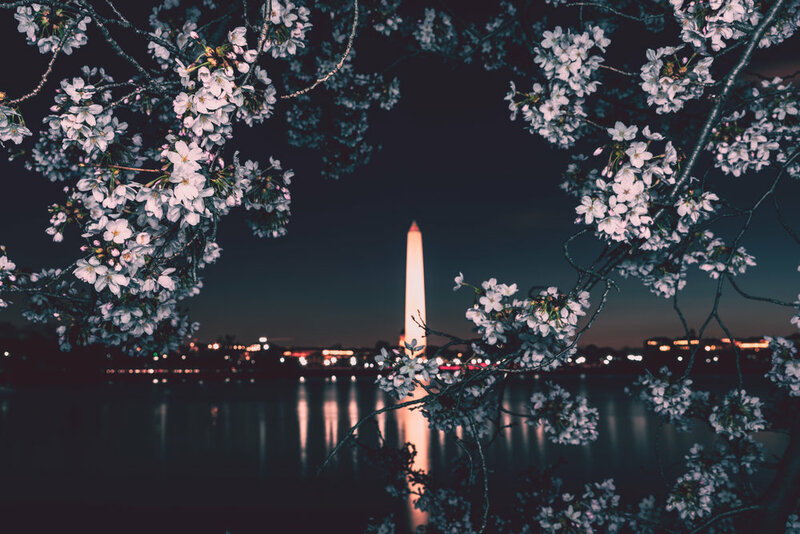 For instance this shot below I had an idea for a little desaturated image with the Washington Monument and the early morning blue hour with the white/pinks of the flowers and I found the framing but I missed the focus on the flowers because I rushed. Is it a bad image? No it is the image I wanted to capture but in my head it's not technically perfect and I could have gotten it easily if I just slowed down and get the shot. What I did get a chance to do is meet a few of the other DC area photographers that were also out shooting (I think the majority of them, lol) and just catch up which is always nice while the camera is doing it's long exposure things. I did get a few images that I really liked and added in a few editing flares to make them closer to my minds eye vision for them. I hope you enjoy!